What is Sensa? Sensa is a granite collection that Cosentino brings exclusively from Brazil with a revolutionary stain resistance that guarantees the durability of your worktop. Sensa represents a new and radical concept in the granite sector, because it offers a definitive protection treatment to reduce stain problems on the material. All this whilst retaining the considerable natural beauty of the product. Keep your worktop looking as good as the day you got it with Senguard protection and 10 years warranty.The SENSA brand defines a range of granite products with great added value. It does not require any special maintenance and it is certified for contact with food, thus guaranteeing security and peace of mind with every use. Porous materials absorb liquid which can reduce the useful life of the material. 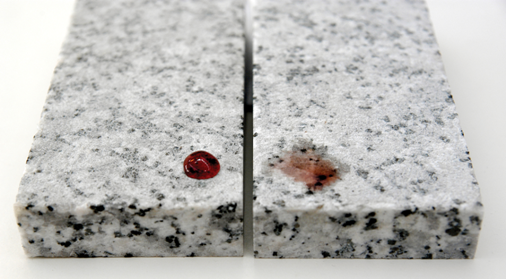 The Sensa treatment alters the granite’s superficial tension to make it smaller that the liquid tension. In this way, it brings an effective protection as the liquid particles are repulsed and do not enter the surface. This is a durable product which firmly repels liquids such as water and oil. The Sensa treatment seeps inside the surface and impregnates itself into the material. The result is an invisible protection that lets the Sensa surface breath. It also resists the UV radiation, and for this the surface isn’t changed on its colour due to the solar radiation. Its aspect and durability will be unalterable. 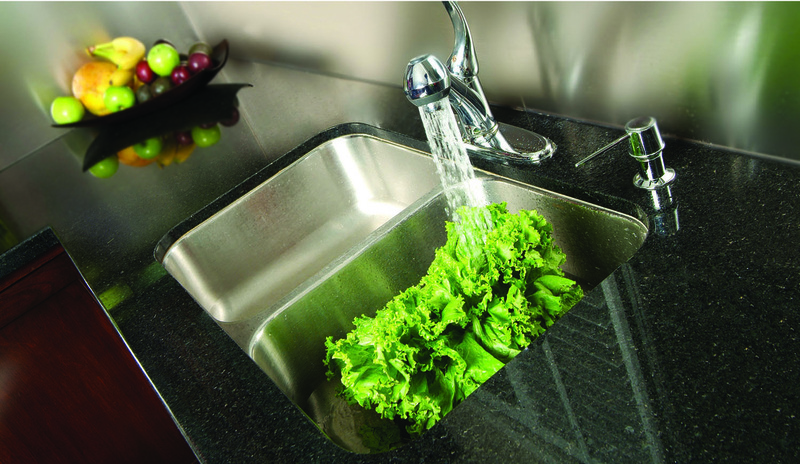 The mission of Sensa treatment is to avoid the penetration of any kind of liquid into the worktop. This is possible due to the waterproofing of the stone. Other properties such as colour, quality and the finish will be unalterable for a much longer time and with a better result. SENSA granite resists the use of any chemical cleaner, like ammonia or strong cleaners. Senguard supports temperatures higher than 300ºC and this makes it really resistant to any change.